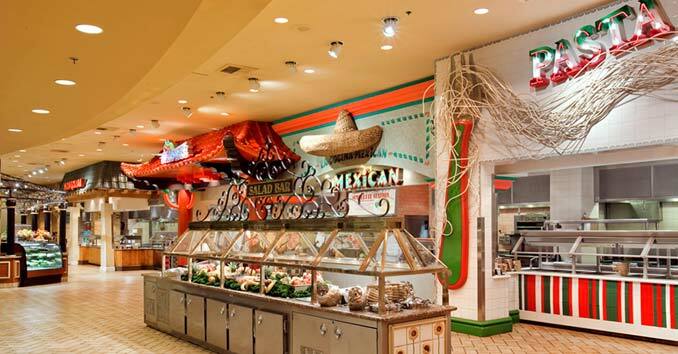 While the rest of the country spends their time slaving away in the kitchen , Las Vegas locals have their own Thanksgiving Day tradition: Hitting the Thanksgiving Buffets. 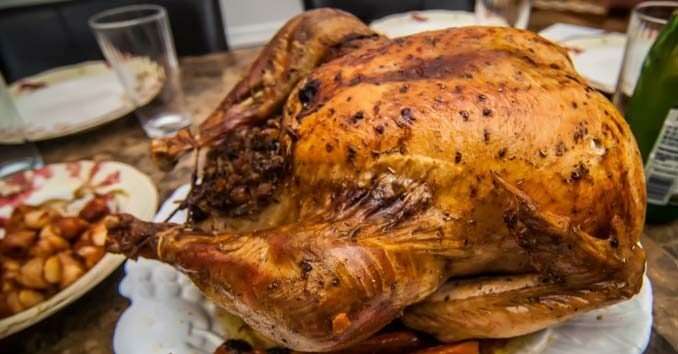 If you’re hear for the holidays, or maybe just tired of cooking, here are the top Las Vegas buffets that offer a traditional Thanksgiving meal, complete with turkey and stuffing. And if you’re someone who likes something beyond the traditional turkey day fixings, don’t worry these buffets have you covered! 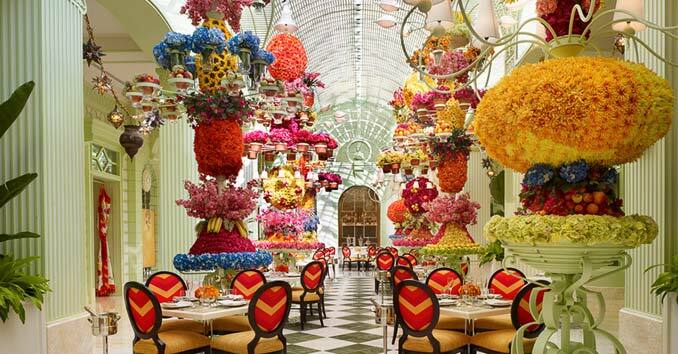 The Buffet at Wynn is one of the top Buffets in the world, and when it comes to doing Thanksgiving, this is an experience that every local should try at least once. The Buffet offers seven days of holiday dining beginning Monday, November 19 and running through Wednesday, November 21 with holiday brunch from 7:30 a.m. to 1 p.m. and dinner from 1 to 9:30 p.m. On Thanksgiving, November 22, and through November 25, gourmet brunch will be served from 7:30 a.m. to 1 p.m., with dinner from 1 to 10 p.m. Thursday through Saturday and until 9:30 p.m. on Sunday. Wicked Spoon is not your typical Las Vegas Buffet, and when it comes to doing Thanksgiving, this is not your typical Turkey Day dinner. Dinner runs from $44.99 – $52.99 per person. 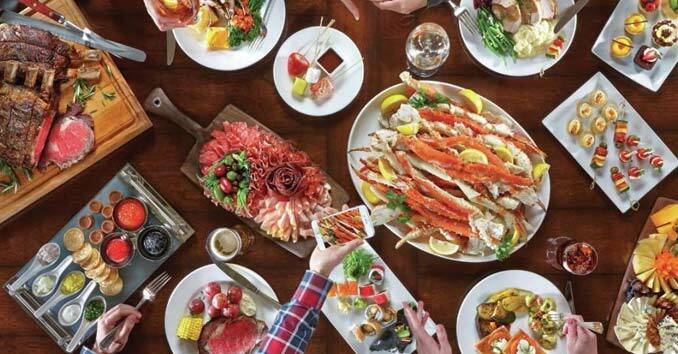 With more than 500 different menu items on a typical day, Bacchanal Buffet at Caesars is one of the most impressive buffets on the Strip. 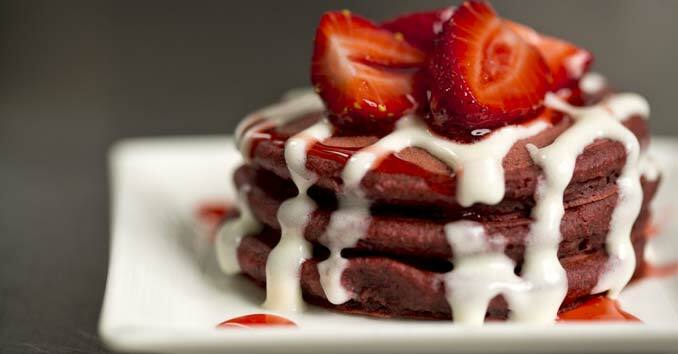 On Thanksgiving, they will offer their Holiday Brunch Menu from 8 AM until 3 PM. Brunch runs 59.99 for adults and 26.99 for kids 5 – 10. Their Dinner Menu runs from 3 PM until 10 PM and will run 69.99 for adults and 29.99 for children 5 – 10. 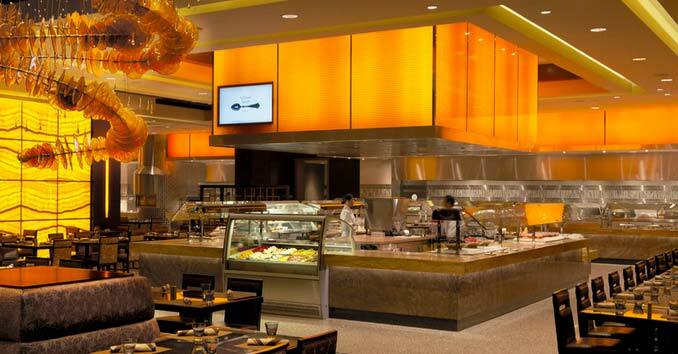 The new Corner Market Buffet at TI offers a world-class selection of dishes using the freshest ingredients and mouth-watering flavor combinations. 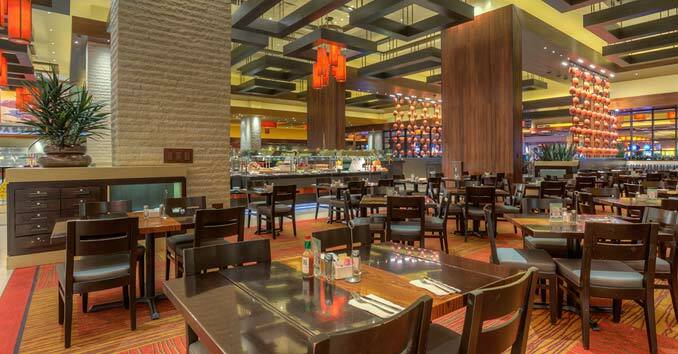 If paying over $50 for a meal seems a bit excessive, then head over to the Orleans where the Medley Buffet will be serving up traditional holiday favorites for only $24.99 per person. The Buffet opens at 11:00 am and stops seating at 9:00 pm. The menu includes roast turkey with all the trimmings, prime rib of beef, carved Virginia ham, roast leg of lamb, rotisserie chicken, crab stuffed salmon sides, veal osso bucco. 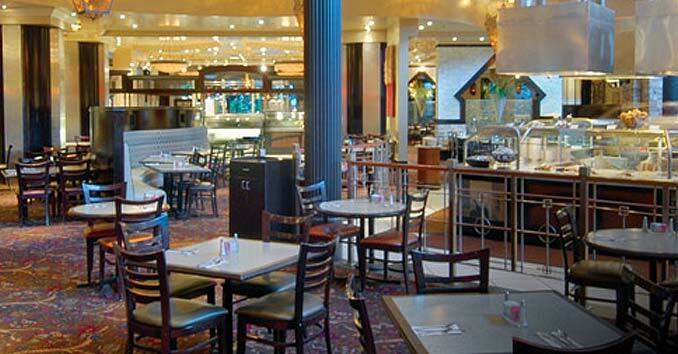 For those who love Fremont Street, The Golden Nugget Buffet is serving up Dinner starting at 11 am and going until 10 pm. All the favorites will be served including Roasted Turkey Breast with Pan Gravy, Honey Mustard Glazed Ham, Cheddar Bacon Corn Bread Stuffing, Traditional Sage Stuffing and dozens of other Holiday dishes. 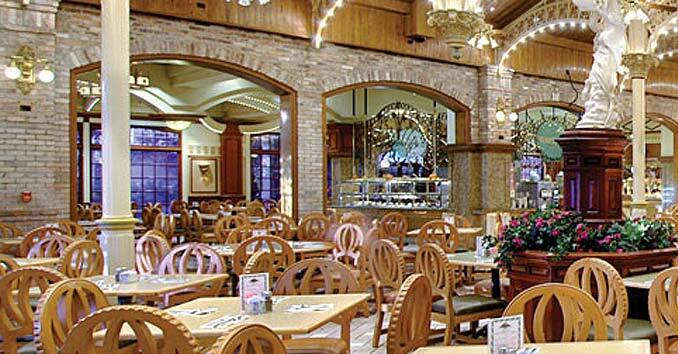 Just down the road a bit, The Main Street Station’s Garden Court Buffet is serving up roasted turkey, broiled lamb chops, rosemary crusted pork loin, sage stuffing, Peking duck, oven-roasted prime rib, and honey glazed baked ham. Dinner starts at $15.99, and you can head on out to the Fremont Street Experience for a little after dinner entertainment. For those of you on the East side of town, the Firelight Buffet at Sam’s Town on Boulder Highway is offering a Holiday dinner from 11 am to close that features Roasted Tom Turkey with All the Trimmings. You’ll enjoy Sage & butter roast turkey, prime rib, rosemary & garlic pork loin, crab stuffed salmon, sweet potato casserole, pumpkin pie, & other holiday favorites. Plus Chinese, Mexican and Italian Stations with an array of additional selections. The cost of dinner is $18.99 with the Ruby B Connected Card and $17.99 with Sapphire, Emerald, Onyx & Titanium B Connected Card. If you are over on the North side of the Valley, Medley at the Aliante Casino will be serving Thanksgiving Dinner with all the traditional fixings. 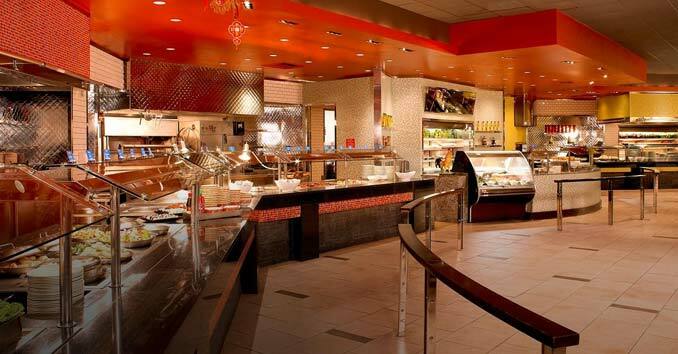 Medley features six cooking stations with food from around the world and is offering the Holiday Buffet for $17.99. If you’re looking to get away from the Strip, then Mount Charleston is throwing their 8th Annual Thanksgiving Day Buffet. The Feast features traditional favorites like Herb Marinated Turkey Breasts, Turkey Legs, Sausage & Sage Stuffing, Mash Potatoes & Gravy, Roasted Butternut Squash & Yams with Brown Sugar, and Cranberry Sauce. They also have a number of desserts including Apple & Pumpkin Pie, Pumpkin Cheesecake, and Cherry Cobbler. 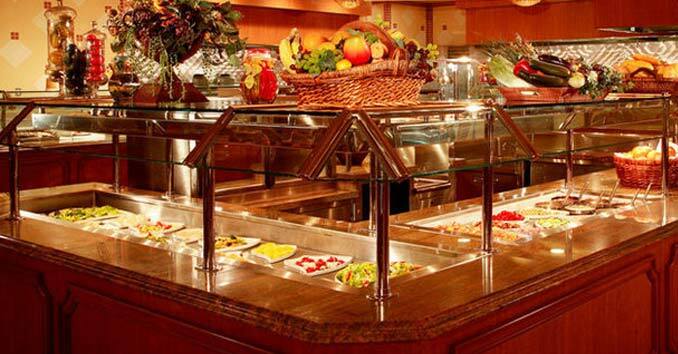 The Buffet costs $26.95 for Adults and $15.95 for Kids. Reservations are Required and can be made by calling the Resort at 702-872-5500. A.Y.C.E. at the Palms will be serving an All-You-Can-Eat Thanksgiving Day Buffet from 11 a.m. to 9 p.m. Prices start at $21.99 per person and $15.99 for children under the age of 10. From 10 a.m. – 8:30 p.m. on Thanksgiving, Holiday favorites will be served including herb roasted turkey, traditional roasted stuffing, roasted prime rib of beef, honey glazed ham, tempting desserts and more! $41.99 for adults; $29.99 for ages 5-8. We will be adding more Buffets as their Menus are Announced so check back often!